What Are The Benefits Of Hemp Seed? Here’s A List! A lot of people swear by the health benefits of hemp seeds. For the uninitiated, hemp seeds come from the hemp plant, also called weed. However, hemp seeds don’t cause what’s known as the high effect. This is because hemp seeds don’t contain THC, which is a cannabinoid found in the weed plant and leaves. Most of us have read articles on how we should be buying organic seeds and nuts, but that’s not the case with hemp seeds, because it can grow without any need for pesticides. Here’s what you need to know about the benefits of hemp seeds. Great for your immune system. Also called as hemp hearts, these seeds come from a plant that belong to the same species as marijuana, but the variety is different. As such, the plant doesn’t contain as much THC as cannabis. Hemp seeds are known for being good for the immune system and contain a balanced mix of omega-3 and omega-6 fatty acids. An ideal source of protein. You get as much 25% of protein from hemp seeds, which is almost same as soybeans. You get all the essential amino acids, which is a great thing, given that there are a few plant-based foods that can be called a good source of complete protein. If you are trying to lose weight or build muscles, this should be on your list. Because you get all the fiber. Yes, the outer shell of hemp seeds is full of fiber, and even if you buy the variant that doesn’t have the hull, you will still get enough fiber from the seeds. Included in your diet, hemp seeds may reduce the appetite and can come in handy for losing weight. Hemp seeds also contain what is known as amino acid – an amino acid that’s good for the heart. Get all your vitamins and minerals. You get most of the essential inclusions in hemp seeds, right from Vitamin E, potassium, magnesium and Vitamin B to iron, zinc, thiamine and folate. Sprinkle some on your food to get all the nutrients. Because it’s good for the brain. 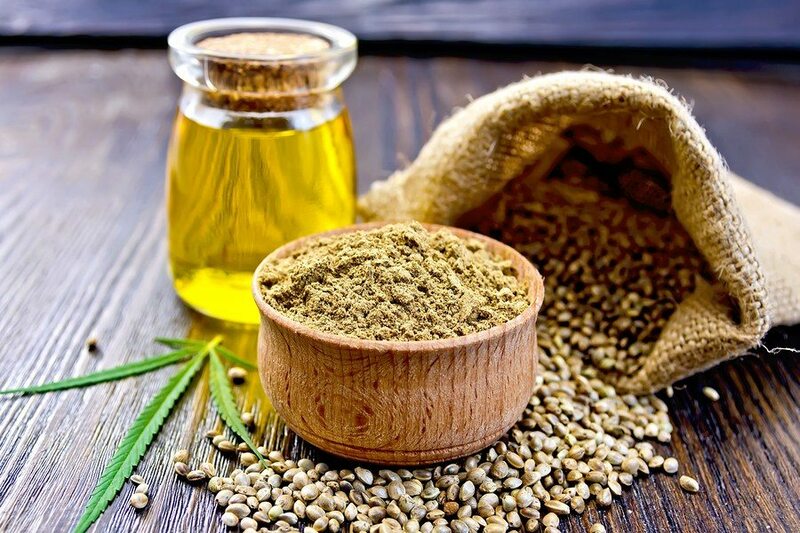 Some studies have revealed that hemp seeds may benefit a few neurological conditions, including neuropathic pain, Alzheimer’s disease, and Parkinson’s disease, and this is because of the presence of CBD. If you want to get hemp seeds, make sure that the supplier is a genuine one and your product comes from the right source.